It’s very clear that most parents support their schools using student data to personalize the learning experience. The problem is that parents are less comfortable with the idea of schools sharing their child’s information with third party services such as software companies and mobile apps. Parents would feel more at ease with the answers to a few questions about the third parties that access their child’s information. Who collects and processes student data? What types of information does the service collect? Why does the service need this information? How the company will use student data? Will the company share data with third parties? Schools have always collected information on students such as names, addresses, behavioral records, progress reports, and standardized assessment scores, but times have changed. When the Family Educational Rights and Privacy Act (FERPA) was passed in 1974, classrooms were neither equipped with computers nor the Internet, and the issue of student data privacy was nothing near what it is today. Forty years ago, student records were stored in file cabinets. Today, student records are easily shared across platforms via digital devices. Under current law, schools are not required to gain parental consent prior to sharing their children’s information with educational software providers or data management services. While the law states that parents have a right to opt-out of directory information, less than 30% of parents recall receiving information about their rights to opt-out. Furthermore, 54% of parents say that they know nothing about federal laws that regulate the use of student data, and nearly half (47%) of parents surveyed say that they want companies to publish enforceable privacy policies and implement better contracting practices with schools and school districts. School districts and educational service providers risk of inadvertent COPPA and FERPA violations which can occur when students crossover between educational and commercial apps offered by the same company, and where their PII was shared under COPPA exemptions. How might educational leaders and providers of educational products and services address parent concerns regarding student data privacy? First, recognize parents as partners. 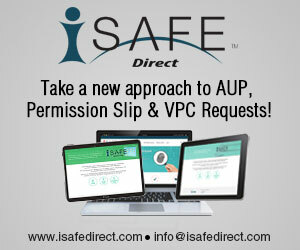 Clearly communicate the policies and strategies that your school and contracted online educational services implement to responsibly use student data, and use i-SAFE Direct VPC to add transparency around what sites and apps students use throughout the school year. By acknowledging parents in the use of their child’s personal information, schools and companies build trust between parents, schools, and organizations. Secondly, provide parents with the opportunity to verify consent. Truly Verified Parental Consent is critical to addressing parents as partners in protecting student data. Surpass minimum legal requirements and demonstrate best practice. 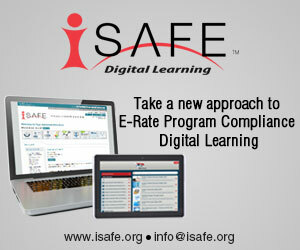 Use a secure platforms, such as i-SAFE Direct - My Ok, to streamline communication with parents while allowing them to approve or disapprove of their child’s use of specific technologies. Get into the conversation about Student Data Privacy in Education. Follow @iSAFEVentures on Twitter.